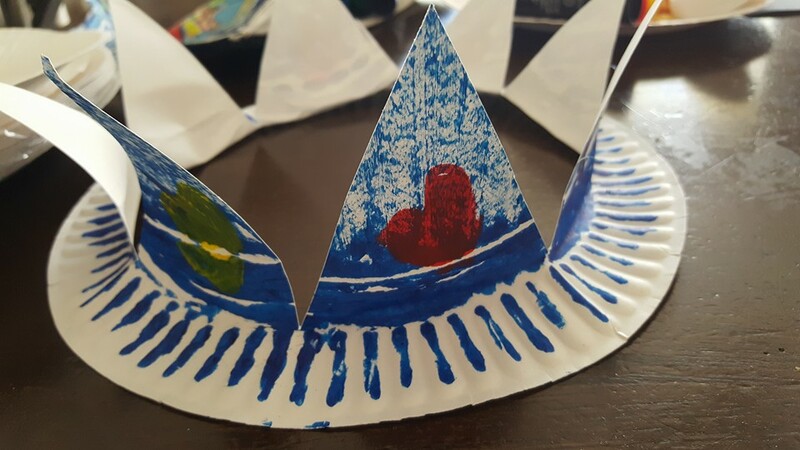 Paper Plate Crowns are super easy to make and incredibly fun for kids! 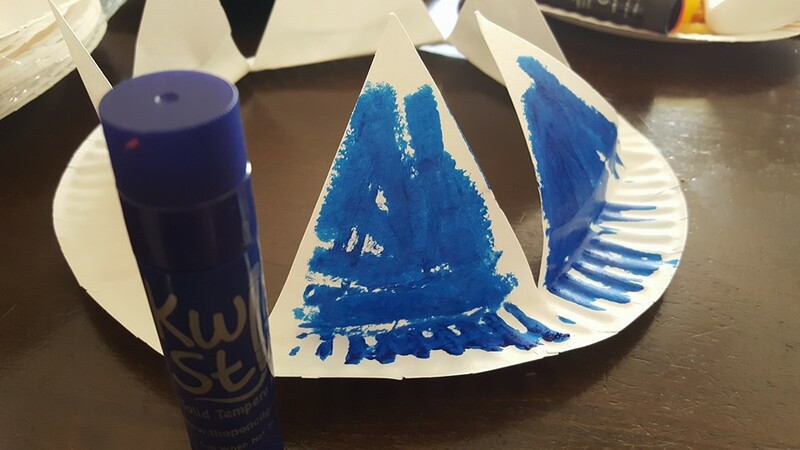 You need only a few items to make these and your kids are going to adore them! Harper is into all things princesses these days! The gowns, the shoes, the crowns! A few weeks ago, I made these fun paper plate crowns on Quirky Momma, and I knew I wanted to recreate the craft with Harper! You guys, these are so easy to make. You are going to want to pin this for rainy day reference! 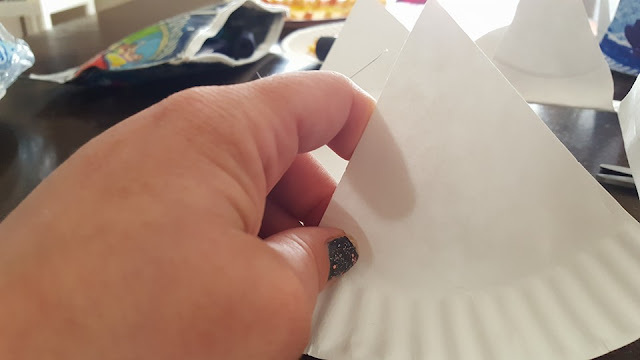 All you need is a paper plate, a pair of scissors and some markers or crayons. 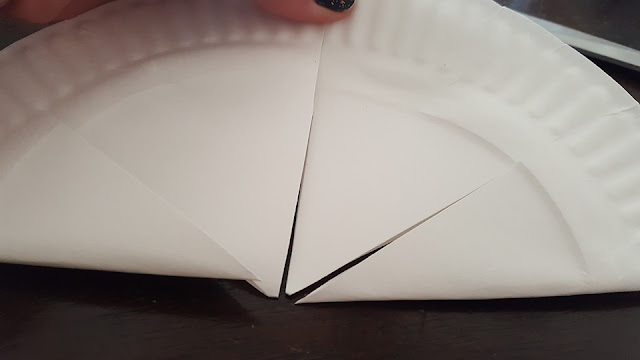 Begin by gently folding your plate in half. Cut it thru the center, extending to right before the plate becomes textured on the side. Make another cut in the opposite direction, Repeating until you have made 4 cuts. It is kinda like cutting a pie. 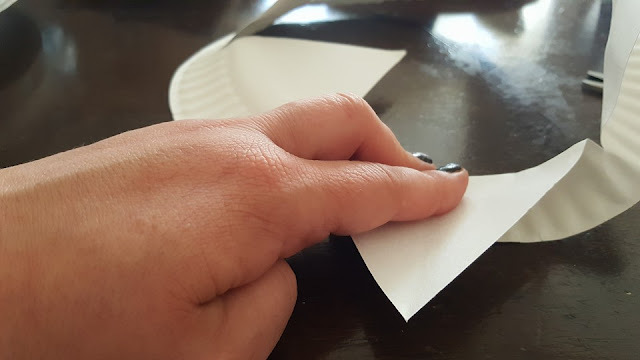 Next, fold the cuts so they stand up. Repeat until all sections are standing up. Color the crown, in whatever colors you like, I added hearts for Harper. 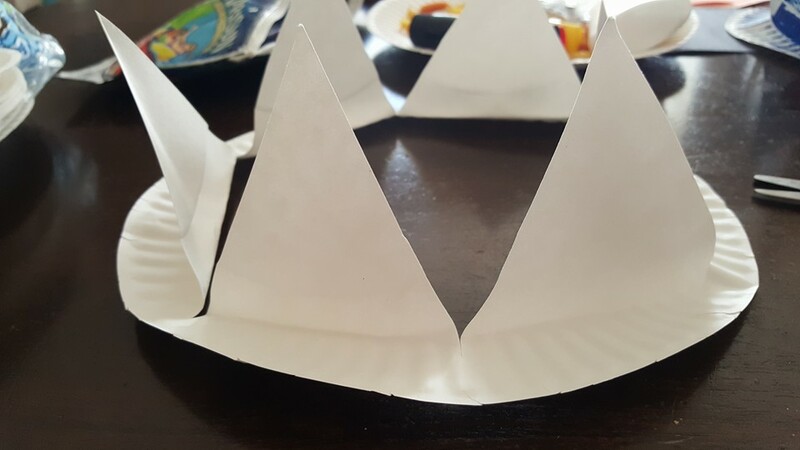 Now you have a crown, fit for a princess!